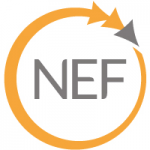 Newton, Massachusetts, August 2, 2017	(Newswire.com) - NEF, Inc. is announcing a major expansion of its service portfolio, now providing enterprise customers with planning, design and procurement for IT infrastructure and cloud services, adding to the enterprise bandwidth and data center service suite it has provided to customers for over a decade. Historically known for its enterprise bandwidth and data center services, NEF’s IT infrastructure services are a natural application of NEF’s expertise and partner ecosystem. The change in service portfolio is less a simple offering upgrade than an adaptation to changes taking place in the IT industry, especially the growing use of cloud-based services like infrastructure as a service (IaaS), platform as a service (PaaS), and software as a service (SaaS). NEF is helping clients holistically plan their IT infrastructure roadmap, taking advantage of these new cloud service models and then working to design and implement new solutions. Recent projects have included such diverse technologies as SD-WAN, unified communications as a service (UCaaS) and hybrid cloud. Michael Murphy, President & CEO of NEF, Inc., explains the evolution of IT infrastructure services and how NEF has expanded into this area in a LinkedIn Pulse Post, which can be accessed here for more details. NEF, Inc. offers advisement and procurement services in several key areas of IT infrastructure including cloud, multi-national connectivity, data center and colocation, and business IT optimization. The firm maintains relationships with hundreds of metro, regional and national fiber providers, competitive local exchange carriers, data centers and service providers giving them the flexibility to design unbiased technology solutions for customers across the U.S. and abroad. As a leading IT infrastructure advisement resource, NEF leverages decades of experience and subject-matter expertise to provide objective, data-driven advisement across planning, design, procurement and installation to support client infrastructures.